promote good practice in terms of people looking after themselves, their colleagues, their employees and their families. Mental health was reported to be the biggest single worry for respondents aged under 30 in the Architects Journal (AJ) Life in Practice Survey 2017; and the AJ student survey 2018 reported that 1 in 3 architecture students have received or are currently receiving treatment for a mental health problem, an increase from the previous year. These issues are not specific to architecture, with an estimated 1 in 6 adults in the past week experiencing a common mental health problem*, but the vulnerability of the architectural professions, widespread long hours’ culture, combined with any issues outside of work can impact significantly on mental wellbeing. Architects Benevolent Society is committed to speaking openly about mental health issues and promoting positive mental health and wellbeing for those in the architectural community. 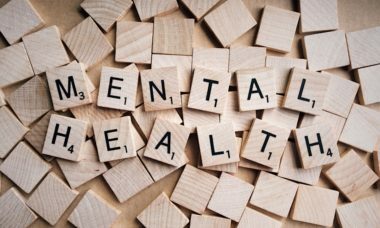 Although there is a lot of media coverage about promoting positive mental health, showing a move towards reducing the stigma attached to mental health issues, there is a long way to go. In addition to practical mental health support, ABS can provide financial support and confidential advice on a range of issues including debt management, benefits, housing, health and disability.